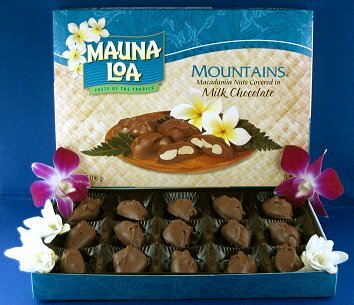 Renown Mauna Loa macadamia nuts and best island treats have merged into the most delectable, giftable boxes and bags of pure delight, lovingly created by Mauna Loa chocolate factory. Mauna Loa company is still using its unique, well kept, secret chocolate recipe from ages ago. It is the very special chocolate in combination with perfectly roasted macadamia nuts that you must try, hands down. People travel the world to find it while we offer it below for your convenience.